It feels as though progress has been painfully slow as of late, but life is crazier than ever with summer in full swing. With my wife’s maternity leave drawing to a close and my oldest daughter’s birthday coming up this weekend, the build has taken a back seat to my usual day-to-day craziness. I’ve just got to remember that this was supposed to be a long-term build, as hard as that is for me to do sometimes. I’m terribly impatient, haha. 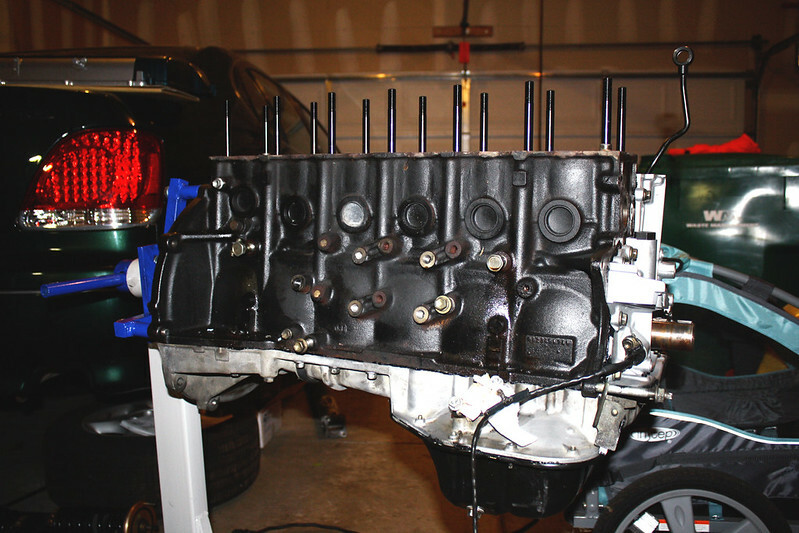 It took quite a while to remove all of the old head gasket material from the block. I was really nervous about damaging the block or introducing junk into the bottom end, so I had to spend a ton of time with a razor blade cleaning the surface. Hopefully I got it clean enough though and things will seal up nicely. 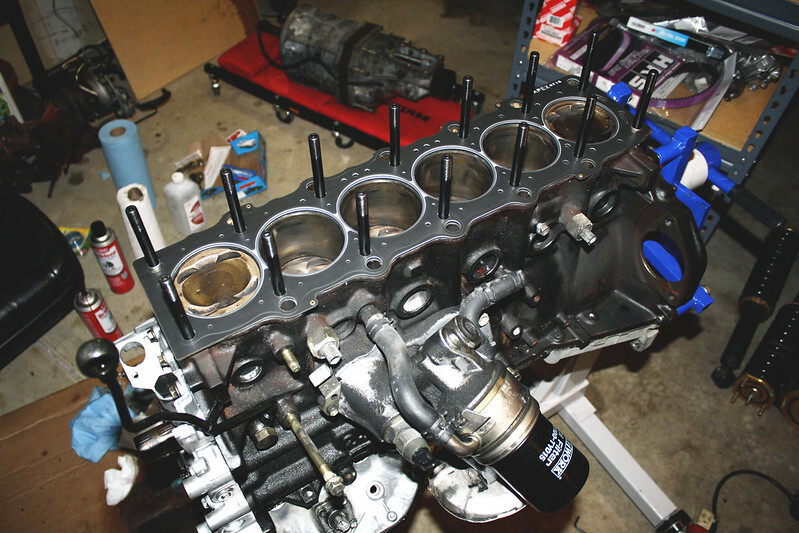 I installed the ARP head studs, followed by the Apexi head gasket. I learned the hard way that the head needs to be mated to the block before the head studs can be installed or you won’t be able to put the washers onto the studs. After removing each stud individually and placing the washer in first, I was able to get everything all buttoned up. I must have borrowed a 12 point deep 1/2″ socket when I did this with my SR, because I didn’t have one to torque the head studs down. I’ll have to pick one up this week and take care of that. 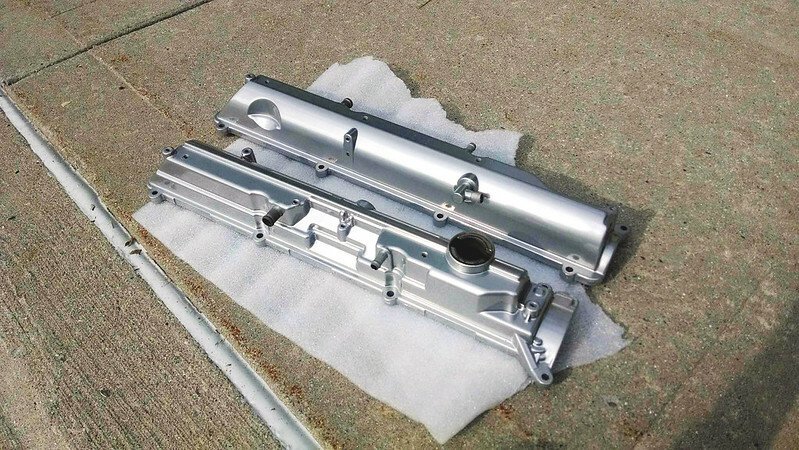 I got my valve covers came back from powder coating last week. They didn’t turn out as chrome as I had expected, but they look kind of cool. Much better than the dirty and dull condition they were in previously. 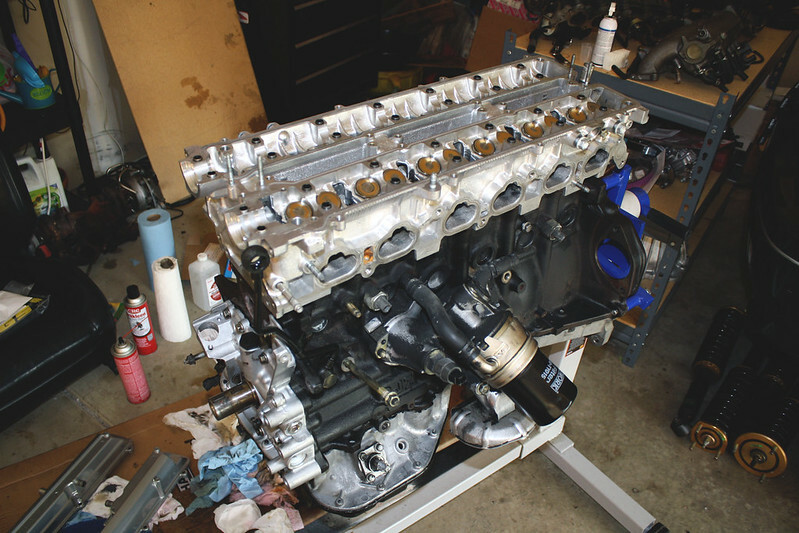 The next order of business is to decide on camshafts. The cam gear bolt on the intake side is stuck in the cam, so I need to break that free and replace it regardless of if I go with OEM cams or Tomei Poncams. 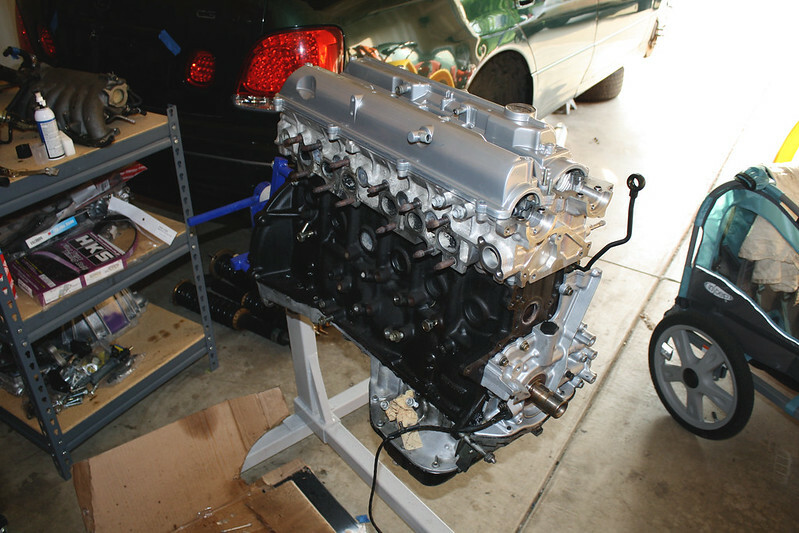 Everything else for the intake side and timing related should be ready to go once that is sorted out though. I’m thinking about painting the block silver while it’s apart as well. 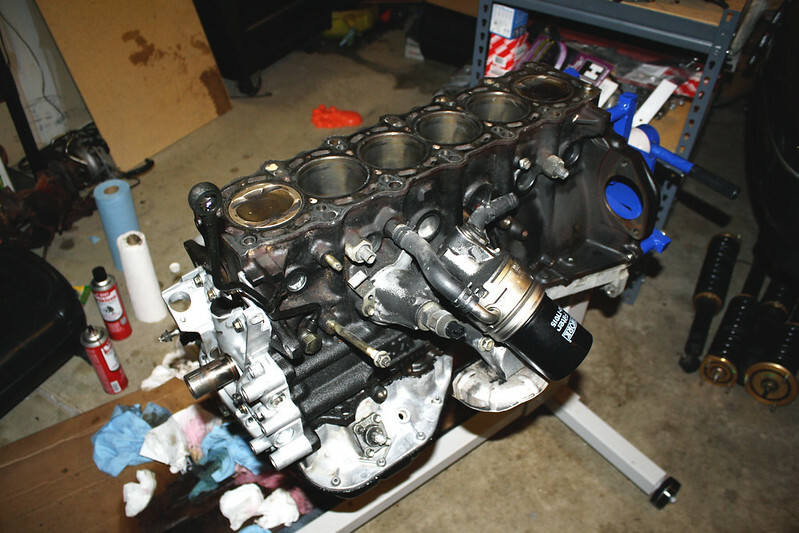 I can’t wait for the engine to be back together and ready to drop in. Thanks for reading! 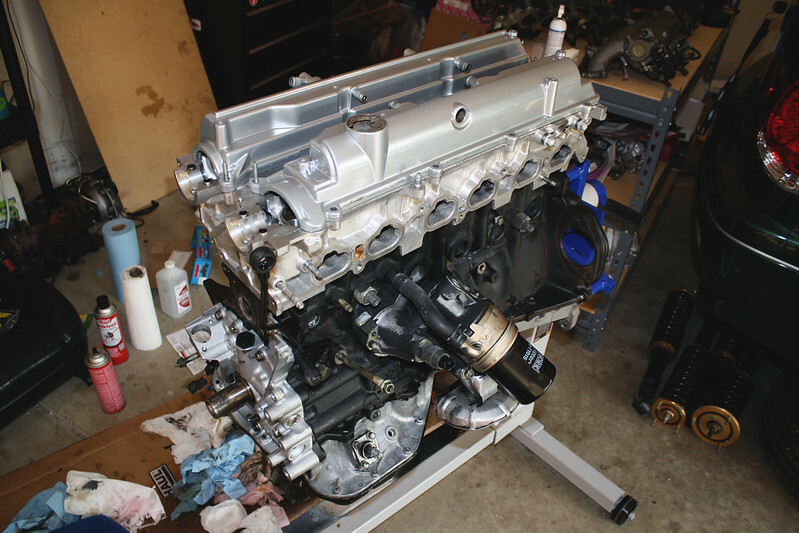 You know you’re going to want those Tomei cams at some point. May as well do it with the engine already out. Yeah, cash is the only factor holding me back sadly haha. I do agree though!